Geoffrey Getnick, MD, is board certified in Otolaryngology. He received his bachelor’s degree from Princeton University, attended medical school at Case Western Reserve University, and completed residency training at Northwestern University. In addition to expertise in all aspects of Ear Nose and Throat medicine and surgery, Dr. Getnick has a special interest in surgical treatment of the thyroid and parathyroid glands. 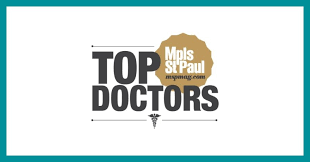 He was also named a “Best Doctor” in Minnesota Monthly.